The difference between an UPDATE and an UPGRADE explained easily. An UPDATE is a patch that is made available after the product has been released, often to solve security problems or glitches – It modifies your current product. An UPGRADE is the replacement of an older version of one product to a newer one – It totally replaces it. The bad guys are constantly trying to find a new way to get access to your computer or device to steal from bank accounts, steal identity information, hijack your computer for ransom and the list goes on. Outdated software programs make your device vulnerable to attack. The good guys are constantly working on ways to find out how these bad guys are doing it. When a solution is worked out, they write new pieces of computer code (updates) that will block these new threats. The update then needs to be downloaded & installed on your computer/device to protect it. 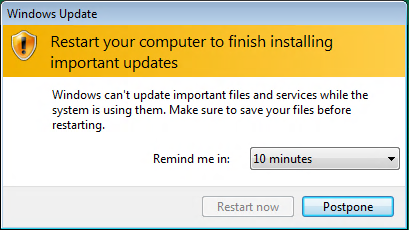 UPDATES are indeed very IMPORTANT to apply to your computer, device or smart phone. Updates are released by the manufacturers of the software or hardware mostly to address security issues. 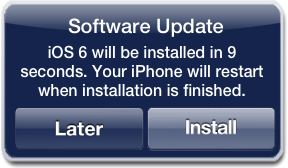 A software update (also called a patch) is a free download for software that you already have installed on your computer/device. The majority of updates are to address security issues. Other updates may be released to fix features that aren't working as intended or to add minor software enhancements and compatibility. They can include driver updates that improve the operation of hardware like printers & speakers. 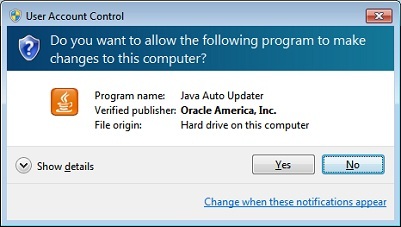 Updates are free as they are not distinct software but are only meant to modify a pre-existing installation. Some companies will only provide updates for a certain period of time specified in their license. For example, Windows XP & Vista no longer have free updates from Microsoft as they no longer support it. Because it doesn’t get the security update support, it becomes more vulnerable to attacks from cybercriminals. Most respectable companies address problems quickly. Because of this, you will often find notices for updates available as they come up with solutions for each problem. When a new update is released, computer users are encouraged to download and install it to solve or prevent the problem as soon as possible especially when the update addresses a security flaw in the software that may be exploited by cyber criminals. UPGRADES are usually A MATTER OF CHOICE. An upgrade is the act of replacing your product with a newer, and often more superior, version and usually require a purchase of the new version. When it comes to the frequency, upgrades happen a lot less often compared to updates. When you purchase software, it’s a good idea to register it so that you can be sure to receive any special offers that you may qualify for. Often companies will offer a new version upgrade at a reduced price at a lower price than you would pay if you were to buy the software for the first time. Upgrades are distinct and do not need the older software to function. An upgrade offers new features and most users who are satisfied with what they have or do not see the need to spend more, could refuse to buy the newer version. 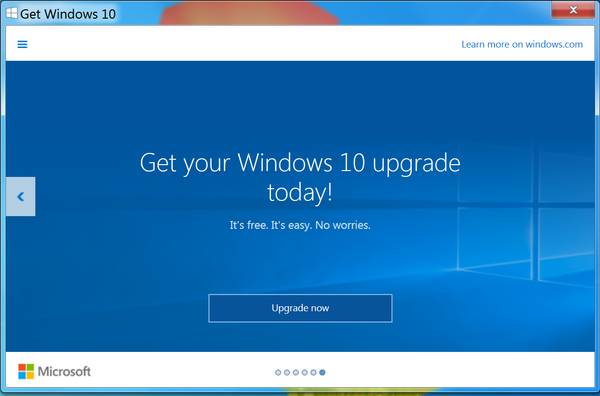 A lot of people often skip every other upgrade to minimize cost while still being able to catch-up every now and then. An example of this is that you can still use Microsoft Word 2007 without any problems even though there has been a couple of newer Upgrade versions since then; 2010 & 2013, you do not have to buy the newer versions if you don’t want to. 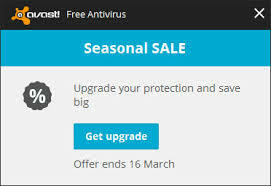 Free security software is a common example where you will see "Pop-ups" to upsell you to the "Pro paid version" - This is an UPGRADE. The free version will still work, however the upgrade to the paid version will offer more features. Operating System (OS) - Windows, Apple iOS, Linux etc. These are released to help protect your computer against vulnerabilities that might be exploited by hackers and viruses. These should be installed ASAP to help protect your computer/device against constantly emerging threats. Operating system software may be updated to correct non-security related bugs or other issues that may have turned up since it was installed. Updates may also make enhancements or add new features to how the OS functions. These updates are usually optional or recommended and have minimal impact on your system or your software. Depending on your OS settings available, updates may be installed automatically or you may need to install them manually. Examples of operating system upgrades include upgrading from Windows 7 & 8 to Windows 10, or on Macs upgrading from OS X "Snow Leopard" to "Mountain Lion." These upgrades are larger and can make more significant changes in both functionality, user interface and general appearance over the previous version. Sometimes these can affect how some of your other software functions. In some situations, some of your software, including drivers, may be incompatible with a new OS upgrade, and the upgrade will not go through correctly. For example with Windows 10, there has been some cases with compatibility issues with Wi-Fi connections, printers etc. not working after the upgrade. Software manufacturers usually offer free updates for their products to make them compatible with new versions of operating systems; however, these updates may not be immediately available when the new OS software is released. Before making any major upgrade to your operating system software, it’s a good idea to ensure that you have performed a full back up on an external hard drive so that you can revert back if there is a major problem. In summary - UPDATES are extremely IMPORTANT whilst UPGRADES are generally a matter of CHOICE. Be sure to keep an eye out for our next series of Tech Tips will be covering how to stay safe using SOCIAL MEDIA.